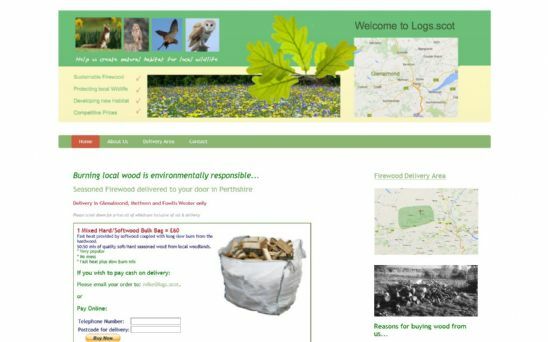 Logs.scot is part of Abrade Trading Ltd and based in Glenalmond, Perthshire, Scotland. They supply seasoned firewood to Glenalmond, Methven and Fowlis Wester. Due to the target market being purely in Perthshire, it makes sense to have a geographical domain name for the website.